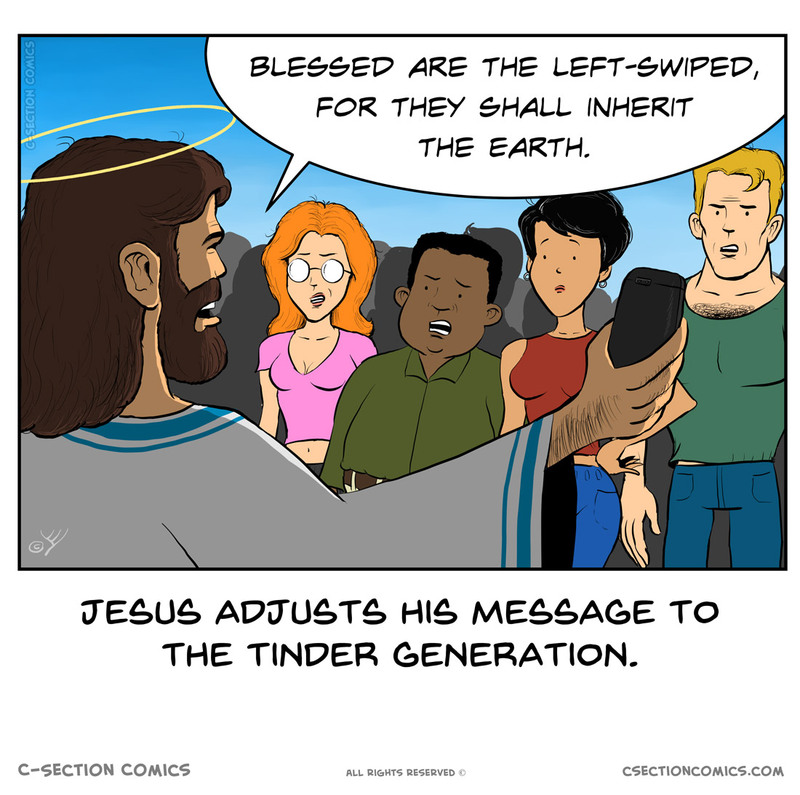 and then left-swiped (that was quick). Treated them like they were reek. 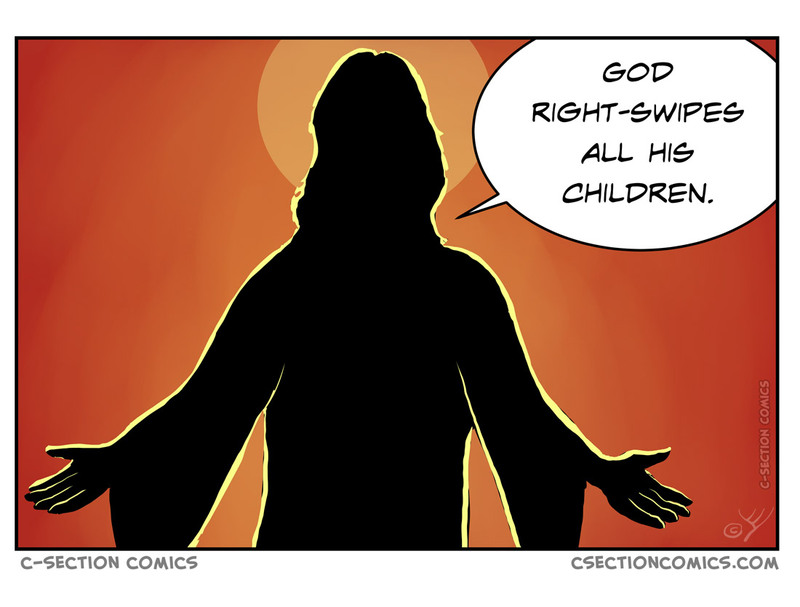 Here’s another comic about Jesus (and his mother). And here’s our entire archive of comics about the bible.